Police brutality and the disproportionate arrest rate for African-Americans have been in the news alarmingly frequently in recent years, and it’s no surprise that the topic would be featured in a number of films, including the similarly-titled “Monster,” which also competed in the same section at this year’s Sundance Film Festival. When a member of the police force is himself African-American, the complexity of responding to any situation and grappling with the statistics as they stand is multiplied exponentially, creating the opportunity for many conflicting ideas and outlooks on society. In the opening scene of “Monsters and Men,” an African-American police officer, Dennis Williams (John David Washington), is pulled over while in plainclothes by a white cop, and notes later to a friend that this is the sixth time this year that this has happened. Manny (Anthony Ramos) films a six-on-one interrogation of a neighborhood staple that turns into the shooting of an unarmed man, and finds himself imprisoned after posting the video. Zyrick (Kelvin Harrison Jr.) is a hotshot high school baseball player with a bright future who sees what’s going on in his city and feels like he needs to step up and do something about it. There is a lot at play here, with three intersecting stories all outlining the way in which these three African-American men all at different stages in their lives are influenced by prejudice within the legal system. Officer Williams’ status as an African-American cop complicates things considerably, since his colleagues expect him to side with them to ensure that the streets are safe for fellow officers, while his friends and family can’t believe that he lets prejudiced and corrupt behavior go unchecked. 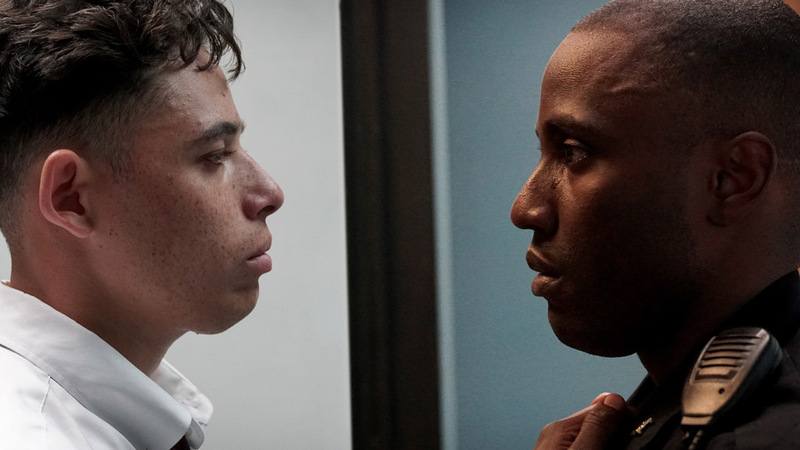 Manny is a loyal father torn from his family, and Zyrick, who is stopped and searched on his way home early in the film, is barely part of the equation until he decides to do something and fight back against injustice. This sobering film was awarded a special prize for a feature debut at Sundance, and it’s true that it shows promise for the way in which it handles a highly relevant topic – director Reinaldo Marcus Green earned a standing ovation at the film’s final screening in Park City. His three leads here are equally compelling, conveying the personal experiences of these representative characters in Green’s original script. This film is absolutely one that should be part of the conversation about race and tolerance today, and it’s a well-made effort at that.